Tesla is certainly one of the most well known companies in the all-electric vehicle market. The company produces the Tesla Roadster that is a green sports car. The vehicle is one of the most attractive and desirable electric vehicles on the market and boasts some of the best EV performance and mileage around. One of the keys to improving the driving distance of the Tesla Roadster is to improve the battery packs in the cars. Tesla uses round 18650 format batteries like those found in consumer electronics whereas most electric vehicle are powered by prismatic cells that are flat. 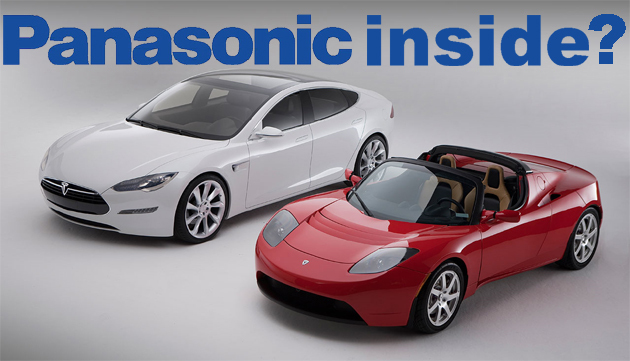 Tesla and Panasonic have announced that they will be teaming up on batteries for the Tesla Roadster and the future Model S battery packs. Panasonic is one of the largest producers of batteries in the world. Panasonic, however, will not be the exclusive provider of batteries to Tesla – Tesla will continue to source cells from a variety of sources. The Model S is the Tesla sports sedan that is set to hit the market sometime in 2011. When the vehicle was first announced in March 2009, Tesla claimed it would have a range of up to 300 miles and would be able to hit 60 in 5.5 seconds and carry seven passengers. The current Roadster managed to eke out a distance of 313 miles on a single charge in a test conducted in October of 2009.